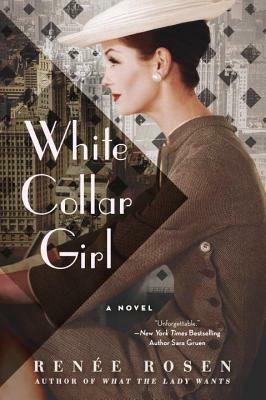 I read White Collar Girl for work, frankly not expecting to like it so much. It truly speaks to the difficulties women faced trying to break into the male dominated work force, in particular here Chicago newspapers. Jordan Walsh comes from a family of reporters and writers. Her mother is an acclaimed poet, her father a nationally recognized reporter now retired, and her brother, now dead from a hit and run, was an up and coming reporter. Jordan longs to break into the ranks of the news desk, but gets relegated to the society pages, covering weddings and what visiting celebrities wore. Even with her family connections, she struggles to be taken seriously. That doesn’t stop her from trying and when she gets a big break finding an inside source in Mayor Daley’s office, she finally gets some confidential information to write serious articles. The author does a great job with the complexities of how breaking cultural rules, even if the rules are wrong, can often lead to isolation and disagreement. I found Jordan’s journey of self-discovery compelling and believable. Jordan struggled not with just the men, but with some of the women in her life , as they don’t understand why she doesn’t just marry and settle down. Her focus on her career loses her a few male relationships, and I was particularly happy that in the end, the focus is still on Jordan’s blossoming career. I highly recommend this very compelling novel–especially because it has such a wonderful jacket! This entry was posted in The Book World on May 18, 2015 by bookdwarf. I like this. Thanks for this post. I really liked this book. You can not put down the booke when reading. The 1950’s girl, she takes a lot of knocks, harassment, but she is determined. Thanks for your review – it leads me to read this book!